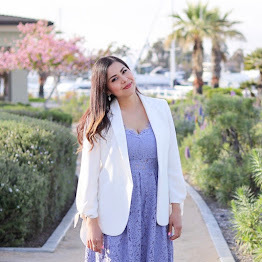 I'm so excited to announce that I will be a returning cohost at Poshmark's upcoming #PoshParty here in San Diego with fellow fashion bloggers Vanessa Balli and Esmirna! 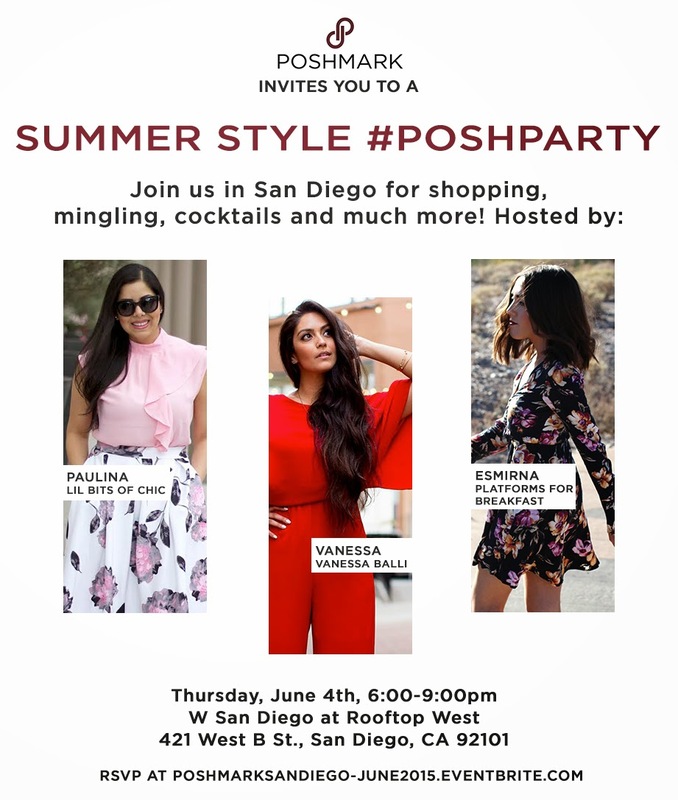 It will be a simultaneous live and virtual #PoshParty where if you're in San Diego you can join us personally at the hip W San Diego Rooftop OR if you're anywhere else in the country you can join us virtually through the Poshmark App on your smart phone! 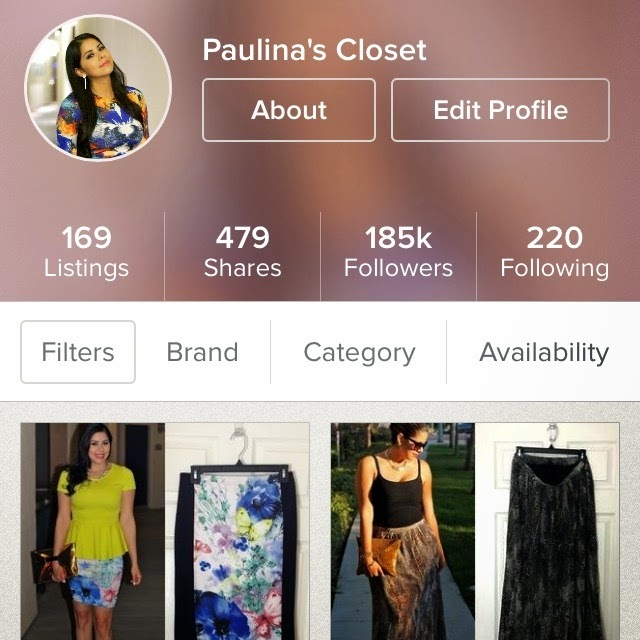 Poshmark is a virtual marketplace app on your smart phone/tablet where you can shop countless of closets and also sell your clothes/shoes/accessories. One of the greatest advantages of a buyer on Poshmark is that you'll find great deals on name brand items, you can also place offers to see if the seller is willing to sell it to you even lower than listing price. One of the greatest advantages as a seller on Poshmark (that I have to come very familiar with) is that you can get paid for clothes you don't need anymore. If you want more information on Poshmark I recommend this post. You can also Shop my Closet! The first 10 people to join Poshmark using my invitation code HBEOX will receive a $5 credit to shop my closet or the closet of countless other fashionistas! My Poshmark Closet evolved when I moved to our new house and I came to a stark realization that I had way too much stuff when I filled 2.5 closets with just clothes. I started purging and made 3 piles: donate, dispose and sell. I then started listing my "sell" pile on my Poshmark closet (here) especially since most of the clothing was still fashionable, lightly to new condition, but was either just sitting in my closet or didn't fit me anymore. I started to get into a selling groove where I started finding fashionable homes for my clothes. Since then, I have had return shoppers, have a 4.9 star average rating and am considered a fast shipper. In other words, I feel like this is my own little business on the side. Now back to the live Poshmark Party, a couple of years ago I cohosted one and it was such a blast! If you will be joining us in person, please RSVP here as space is limited: RSVP here! Hope to see you there in person or on the app! I've always been super curious about Poshmark, I usually just stick to eBay :).